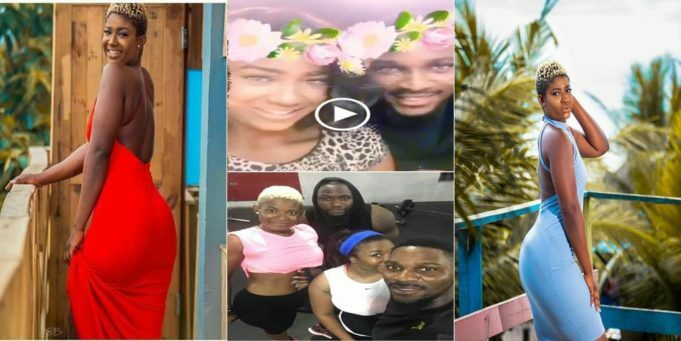 Meet the alleged girlfriend alleged girlfriend of Big Brother Housemate, Tobi, According to multiple trending reports on social media. Tobi who has been in an on and off relationship with Cee-C in the house has started withdrawing away from her since he earned two strikes from Big Brother. Many viewers of the reality game show are already of the opinion that their relationship is a toxic one due mostly to the behavior of Cee C towards Tobi. Going with the recent mood of Tobi In the house, his Alleged Girlfriend who he once gave a shout out to while in the house has finally surfaced on the internet. According to online source her name is Regina. Think say the world dey revolve around your bumbum oh. Hol up hol up. Dear Cee-C, come and see the girl that Tobi likes.No dey call am booty, see nyansh.. Aunty is fresh, aunty fixes lashes too, Aunty is tall, Aunty has hips and her bumbum is as big as Bombay, Aunty has nose, aunty has a surname and aunty is actually a lawyer….